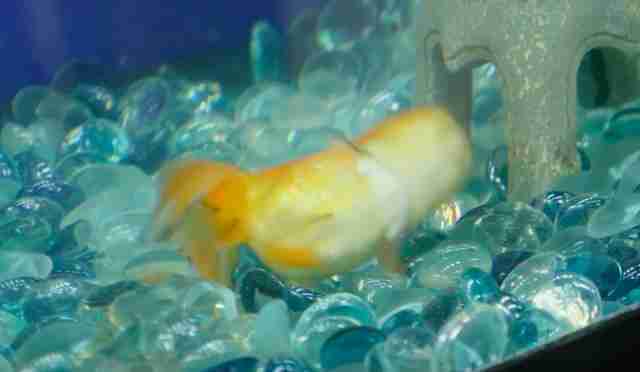 Lemon began her life as one of many oranda goldfish, swimming around an overcrowded, dirty pet store tank. One day, a kind person spotted her, and decided to take her home. 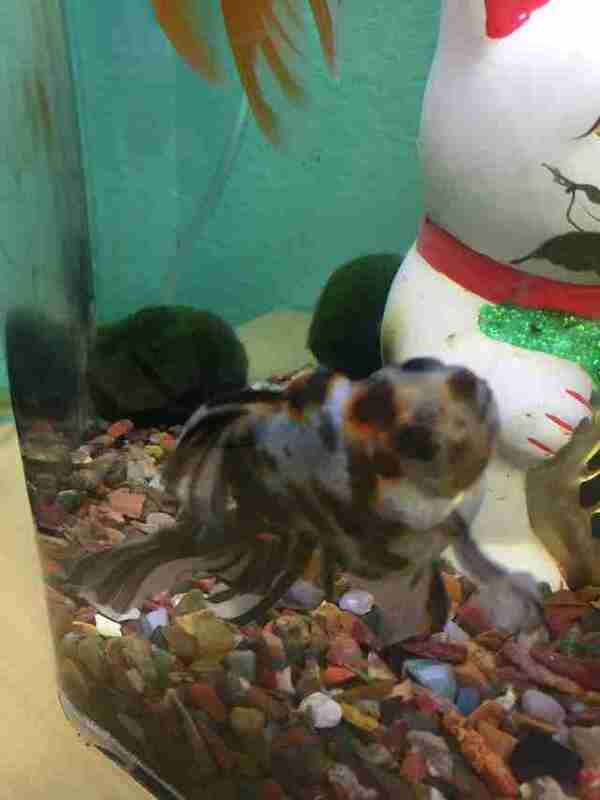 In her new tank, Lemon grew bigger and stronger, but her lopsided jaw, a facial deformity which had gone unnoticed in the store, continued to cause issues, until the right side of her mouth collapsed completely. 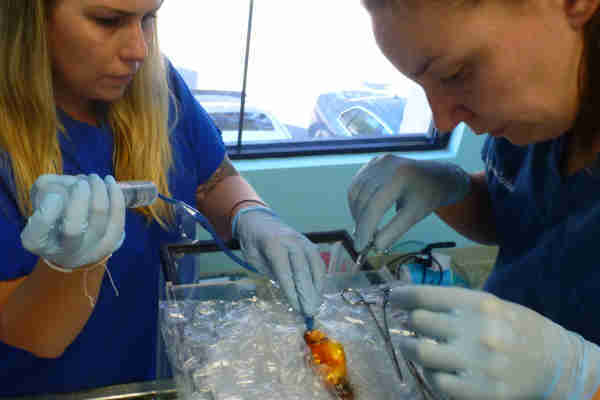 Her owner knew the little fish was determined to survive, so brought Lemon to the vet. Lemon received corrective surgery at Aquatic Veterinary Services in California, and after four days of recovery in the hospital, she could finally eat normally and close her mouth for the first time. However, a few months later, Lemon was back in the hospital with something much more distressing: She could no longer swim, and her owner was not equipped to handle her care. Fancy goldfish, who are often bred for their looks, are commonly plagued with buoyancy disorders, Sanders noted. An irregular swim bladder, the organ that fills with air and determines a fish’s buoyancy and balance, can cause fish to float to the surface, float upside down or sink to the bottom of a tank. 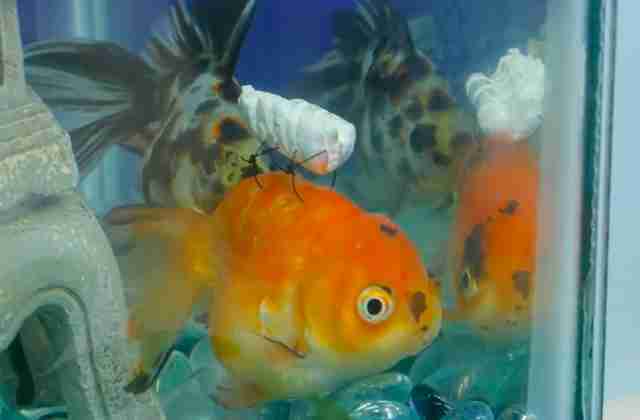 Things looked bleak for Lemon, who was stuck on her side in a strange place, but there at the veterinary offices, she met her new tank-mate named Rusty — another fancy goldfish who also had issues swimming. 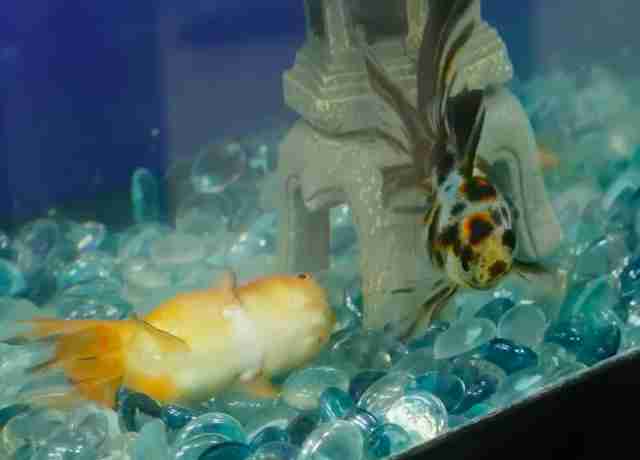 Lemon had never met anyone as accident-prone as herself before, and the two fish seemed to bond immediately. 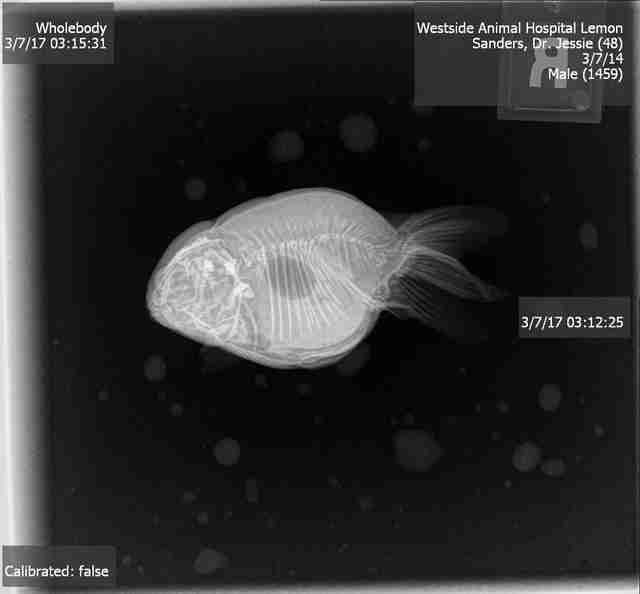 Lemon’s too-small swim bladder was confirmed by an X-ray, and Sanders set to work trying to find a solution that could help Lemon swim and feed comfortably — but each approach seemed to have drawbacks. Lemon lay on her side for two months as Sanders attempted to fix her buoyancy issue. In essence, Rusty got a tiny, floating backpack. After a few weeks, it was clear that the procedure had been a success. “He was at the point where he was able to sit upright on the bottom without any assistance,” Sanders said. With no dorsal fin, Lemon’s sinking problem proved to be more challenging — but with Rusty swimming with relative ease, it seemed only fair to try. 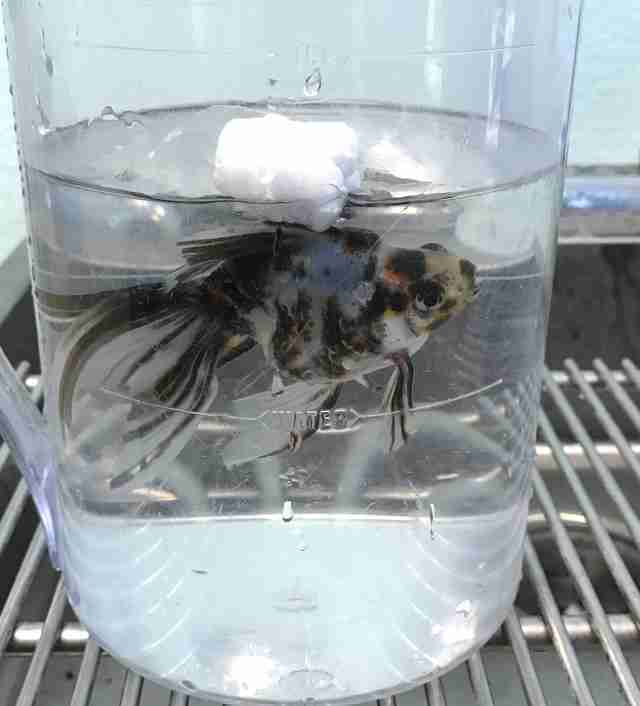 Sanders sedated the little fish, numbed her back and attached a float with two sutures. 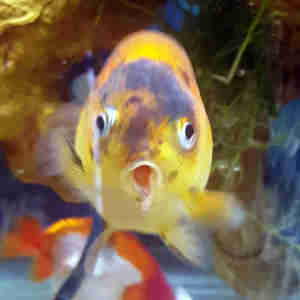 When Lemon awoke, she was like a whole new fish. Lemon could finally swim upright, just like her friend, and the joy and freedom the two fish finally felt was clear to everyone.